Together we have raised more than half of the $10,000 needed to purchase the IN2L software!!!! We are so close, but still need $4284! Ask yourself “is my church group or social club looking for a worthwhile project to support to help people with dementia?” If so, consider giving a gift to help Frederick Living purchase It’s Never 2 Late. 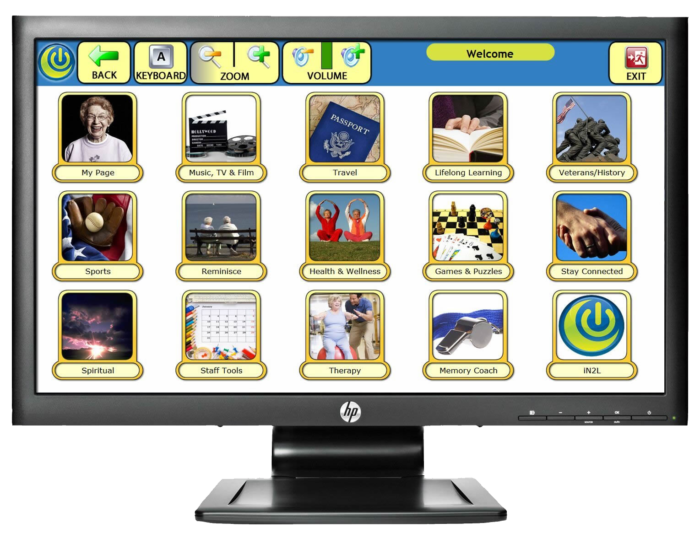 This mobile interactive large touch screen system integrates various hardware, media, software and adaptive components necessary to allow residents to participate and engage in person-centered recreational and rehabilitative activities. Donations can be sent to Frederick Living (mark IN2L in the check memo line) or be made online at: https://frederickliving.org/giving/donate-today/ Under “Gift Designation” select: Restricted. Under Campaign choose wish list IN2L.